Slightly thicker than standard spaghetti, this is actually called "spaghettoni", and can handle slightly thicker, heavier sauces. 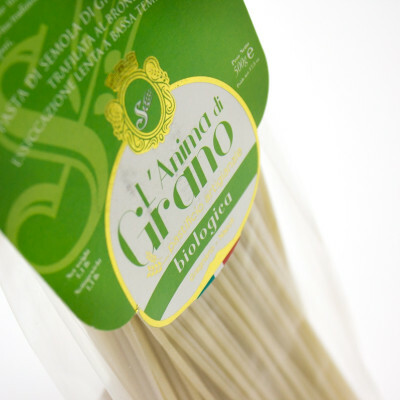 In Italian, spaghetti means 'little strings', and this Spaghettoni is a thicker version of standard spaghetti, with a diameter of about 3mm. Spaghetti is a staple food of traditional Italian cuisine and therefore almost every Italian region boasts its own signature spaghetti dish. 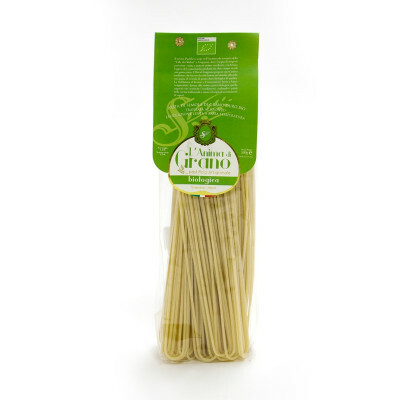 As spaghettoni is significantly thicker than its more common counterpart, it can be paired with slightly thicker, heavier sauces. Try it with aubergine and tuna bottarga if you're feeling gourmet, or intriguingly, "con crema di patate" (a creamy sauce made with solely potatoes, garlic, parmesan and oil) if your larder is looking a little empty.